Correa reflexa Cape Carpet blooms from mid Winter through Summer. The Cape Carpet cultivar stays low and spreads as much as 10 feet wide. With such a long blooming season, low water requirements, Correa reflexa Cape Carpet is an excellent choice for the drought tolerant garden. Correa reflexa Cape Carpet will grow in full sun to light shade. 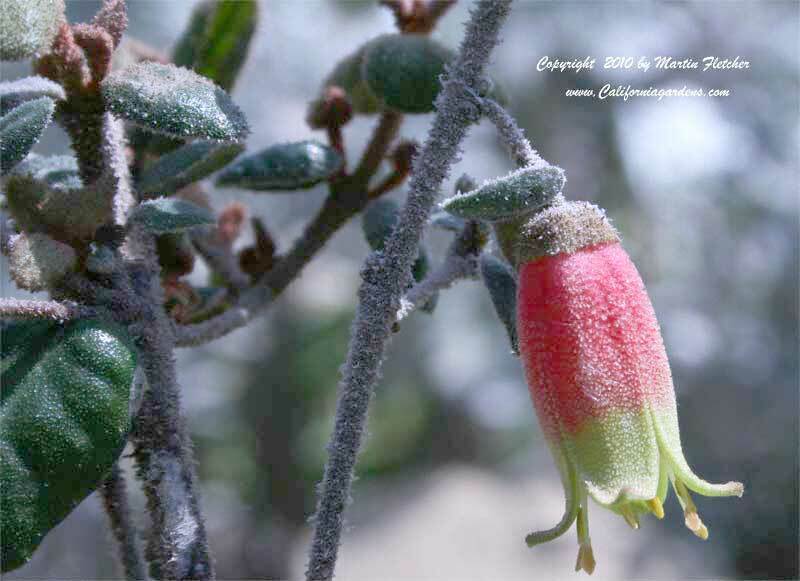 The Green Cape Australian Fuchsia is hardy into the low 20°s F.
Flowers and foliage of Correa reflexa Cape Carpet the Green Cape Australian Fuchsia. High resolution photos are part of our garden image collection.